Bombay Velvet is the upcoming bollywood movie directed by Anurag Kashyap based on Gyan Prakash's book, Mumbai Fables. 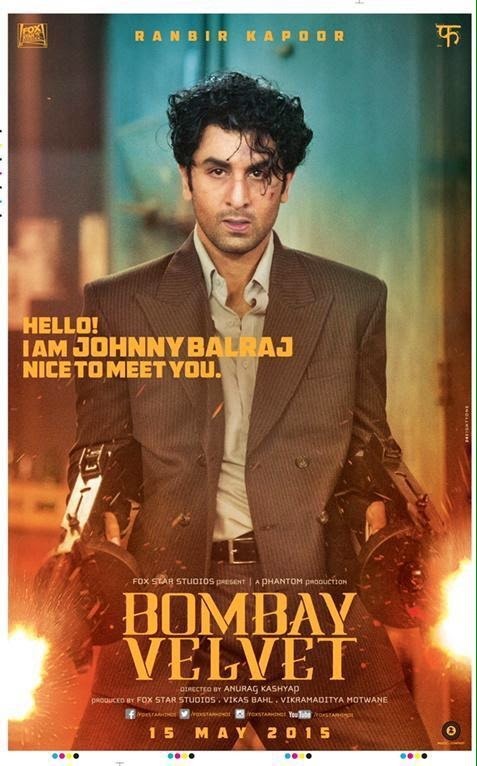 The movie features Ranbir kapoor as street fighter, Johnny Balraj and Anushka Sharma as Jazz singer, Rosie. The movie is produced by Fox Star Studios and the expected release is on May 15.